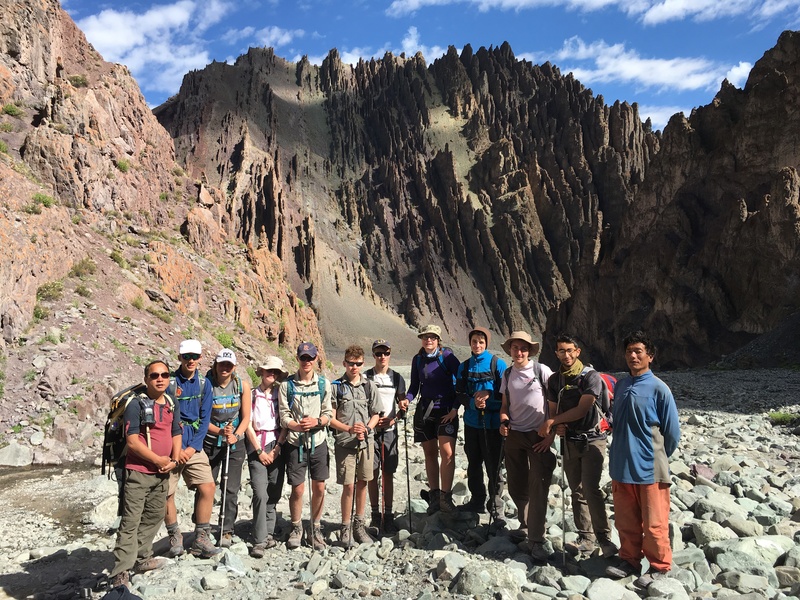 The aim of our Moonlands venture was to foster leadership skills in our senior cadets through a programme of adventurous training for five weeks in the Ladakh region of the Tibetan Plateau. This is a unique area, long isolated by the high peaks, which still forbid land access for eight months of the year. It is the coldest and highest inhabited place on earth and is populated by nomadic Buddhist herdsmen. The region is in reality the last unspoilt area of Tibet, just miles from the Chinese border. After flights to New Delhi and onto Leh, the cadets landed at 12000ft to start a strenuous programme of activities. 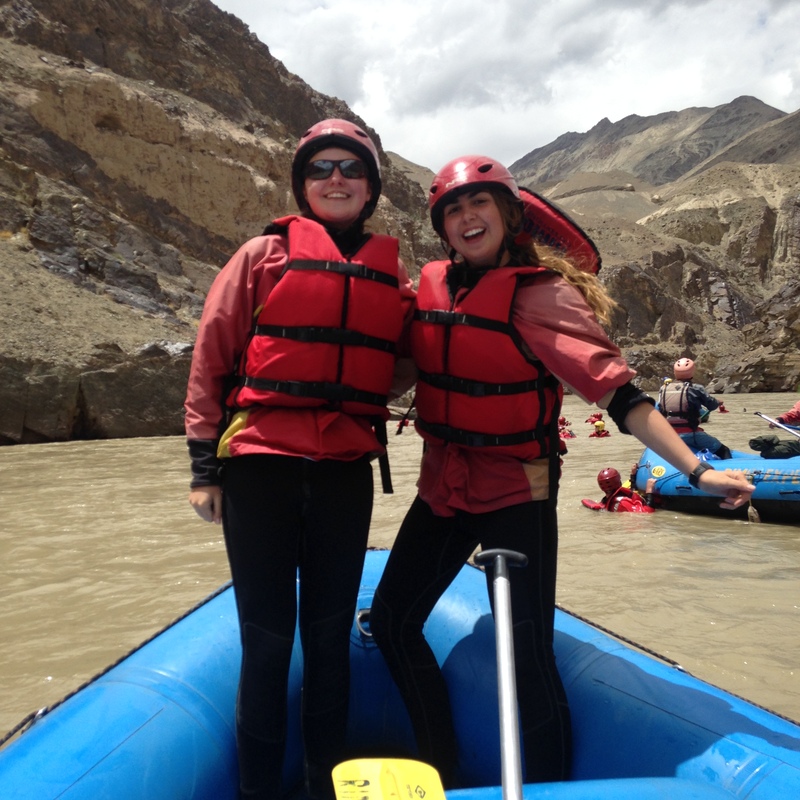 Their first objective lay in a white water rafting descent of the Upper Indus. The melt waters of high glaciers provided a fast cold flow with exciting rapids. Frantic paddling was interspersed with the task of recovering floating teammates as they drifted through desert and canyons. 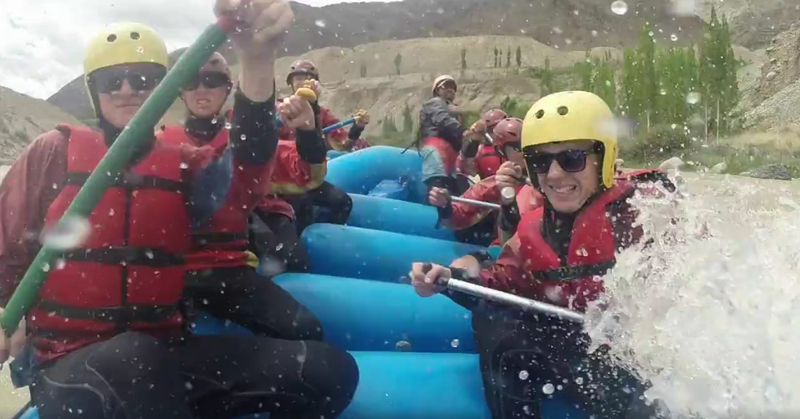 This was a fascinating way to travel through some of the most unusual scenery on our planet. Moonlands trekking is of world class standard and provided a strenuous challenge for our group. Days started at dawn to avoid the searing heat of the afternoon; and with no chance of carrying sufficient water, vast quantities of liquids were consumed at breakfast. Valley campsites soon gave way to windy, snow covered passes at over 18000ft. The unforgiving landscape also allowed our cadets to undertake a four day unsupported Gold Duke of Edinburgh’s Award expedition. This involved predawn starts to navigate across featureless terrain acquiring water from startled monks at temples. After a day’s rest in Leh, the group started a week’s mountain biking in the Zanskar Range, including crossing into the military ‘Line of Control’ area marking the disputed de facto border between India and Pakistan. Long days some involving six hours of solid ascent and crossing the highest navigable trail in the world were followed by freezing nights spent below amazing skies. Having spent forty minutes to fly to Leh, the final challenge was to be an arduous road journey back to Delhi which was to take four days. 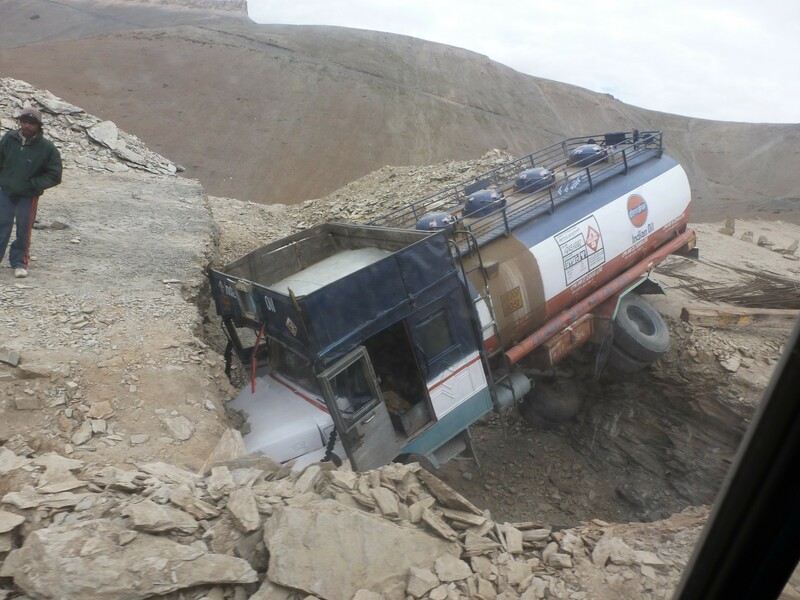 The only road is mostly unpaved, crosses two chains of the Himalayas as well as deserts, rivers and landslides. It is recognised as one of the great road journeys of the world. The real test will come in the future of these young people and how they come to lead their contingent, whether they come to feature on other leadership teams or indeed organise their own expeditions.